My name is Dorothy Sun. I am an Humanistic Integrative Counsellor/Psychotherapist and Clinical Supervisor. Counselling clients with a humanistic approach provides them with an opportunity to explore creativity, personal growth and self-development, whilst acknowledging a variety of choices. The foundations of the humanistic approach provide the client with a deeper understanding of who they are, what they feel and the opportunity to explore the possibility of creating personal choices. It encourages self-awareness and self-realisation. There are many different types of humanistic counselling, all of which involve a close counselling relationship between the counsellor/therapist and the client. These include Person Centred Therapy, Gestalt Counselling, Transactional Analysis, Transpersonal Psychology and Psychodynamic approaches, to name but a few. As a counsellor specialising in providing clients with humanistic counselling I am skilled in offering a non-judgmental, supportive and understanding service, in a safe and confidential environment. I have experience working with short-term NHS clients and Prison Offenders and offer Time Limited psychotherapy as well as long term/ongoing therapy with private clients. I have worked with young people and children in schools and with adults in a Bereavement Service, with general issues with Mind in North London and The Awareness Centre in South London, as well as with issues of homelessness with DePaul Alone in London and with EAP clients. My background includes, but is not limited to working with issues relating to loss and bereavement, depression, anxiety, panic attacks, sexual and domestic abuse, sexuality, self-harm, eating disorders, anger, Special Needs, Autism and learning disabilities, as well as with family and relationship concerns and others. I regard the therapeutic relationship as the most important aspect of therapy and which provides a reparative emotional experience, with emphasis on creating a safe and trusting environment. To this aim, I work in a non judgmental and respectful, collaborative way; supporting client’s openness, enabling exploration of their concerns (past and present) to find their own solutions, to make changes and to move forward positively in life. Everyone experiences difficulties at some point in their lives and experience times when extra support is needed. 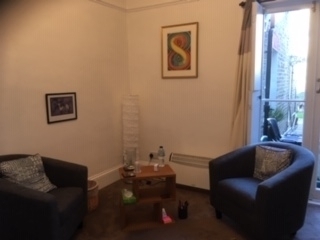 Counselling is a “talking” therapy and is unique in helping with resolution, understanding of current and past difficulties, but also in providing the tools for choosing and developing a better life and future. Counselling helps you to understand yourself, your thoughts, feelings and behaviour, and your contact with others. Sometimes, it is difficult to express your needs and wishes as a result of fear, anxiety, and/or poor self-confidence or because of trauma. When this happens relationships with others often becomes strained, less fulfilling and difficult. Although the counselling process can sometimes be uncomfortable or difficult, it can also lead to feelings of personal empowerment, growth and healthier, happier relationships and positive self-esteem and confidence. As an Accredited Humanistic Integrative Counsellor (Adv. Dip & Dip.) and qualified Clinical Supervisor my attention is focused on the person, irrespective of gender, sexuality, age, cultural background and/or religious or political beliefs. As a Registered Accredited Member of the British Association for Counselling and Psychotherapy (Reg. MBACP Accred.) I operate within the BACP Ethical Framework for Good Practice and attend regular supervision and I am fully insured. As a Complimentary Medicine Practitioner specialised in the field of Colour Therapy for over 30 years I also offer Colour Counselling Consultations using colour as an adjunct to gain insight into your inner world. Through a specially devised colour preference technique called the Colour Reflection Reading (CRR)© information reveals your personality type, strengths and weaknesses, current thoughts, feelings and behaviours, and/or colour imbalances. This method has been documented in my book called 'Colour Your Life' (co-authored) by Howard and Dorothy Sun and published by Piatkus Books 1992. Using colour as an adjunct tool to gain personal awareness and development adds a new dimension to self-discovery. I am also a qualified Family Effectiveness Training (F.E.T.) Instructor helping parents, family members and carers to manage the challenges of parenthood and of raising responsible, independent children. Whether you’re a parent/carer of a toddler or a teenager, you know that parenting can be a challenging, even an overwhelming experience at times. Unfortunately, children do not come with an instruction manual and being a parent doesn’t always mean that you automatically or instinctively know what to do. F.E.T. Counselling Consultations offers proven communication skills that work. When these skills are used, parents/carers are amazed with the dramatic improvement both in their families and in all their relationships. I practice in North London N8. Sessions last for 50 minutes. I am available for day and evening sessions and provide Time Limited therapy and open-ended counselling and psychotherapy for individuals, FET couples, families, and for young people and adults. To book yourself an appointment please call, text or email me and I will get back to you as quickly as possible. Some concessions available depending on circumstance. 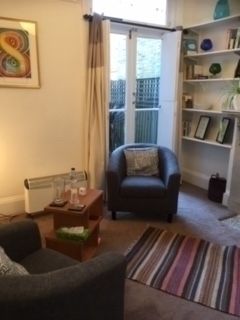 I run an active Private Practice providing short-term Time Limited, and open-term/ongoing counselling to individuals and groups, and offer clinical supervision service based in Crouch End, Hornsey, North London N8. I am a qualified Clinical Supervisor trained with The Centre for Personal and Professional Development – Counselling School (CPPD) using The Cyclical Model. I provide low-cost, affordable Integrative Relational Supervision for qualified and trainee counsellors within organisations, including counsellors in voluntary sector placements, Higher Education and services working within NHS guidelines.